Hajj and Umrah are holy journeys to the House of Allah and hold a high importance in the life of Muslims. All Muslims Peoples around the world travel to Makkah and get Umrah all year around, whereas Hajj can only be done in one month of the year. Due to the increase in pilgrims, to make a happy journey throughout the year. The best time to get Omar is right after the Hajj in Moharram and Saffron month. Ramzan is probably the busiest and most suitable time to perform with the number of passengers going to Hajj! There are many travel agents to get Umrah Tours, which can be reasonable or very expensive. However, according to the government of Saudi , anyone willing to perform it has to get their visa processing from verified govt agents in their residence country. When someone decides to perform this, they have to decide which package and which travel agent will choose. On the contrary, anyone can opt to go independently by receiving their visa through a verified travel agent. However, a package allows the pilgrim full convenience as they don’t have to worry about visa, airfare, accommodation, and transport. Economical packages are of relatively low cost and are ideal for those on a strict budget. However, one has to travel with the group and sometimes it has its own downside at times. However, traveling to the group and family reduces the cost significantly and you can perform your Umrah at a lower cost. Ramadan packages are made according to customer budget, time duration and needs. They are more convenient but are not cheap as the Ramadan package. Whenever you choose a package with a travel agent, do your homework well. The reliableness of the agent, as well as the quality of services should be ensured. Read the online review and see the travel agent’s rating before giving cash and your passport to anyone. A Ramadan package should also be obtained from 4-5 agents so that they can compare the costs and select the most suitable one. 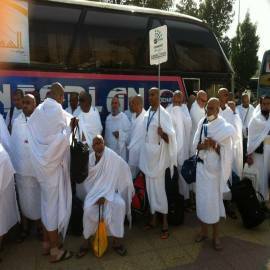 Umrah season has already started. 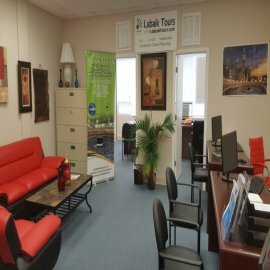 Labaik Tours is among the first one helping travelers to get Umrah Visa. For best guidance, if you wish to perform Umrah this year just put your reliance on experience agents like Labaik Tours. Remember cheapest is not always the best but quality wins!! Less number of reliable Hajj companies with their limited Hajj visa quota. It is estimated that 2015 will also be another tough year to get on board for Hajj as many people who could not go are in waiting que. Many travel agencies in United states are already pre-sold for Hajj 2015. It is not recommended to wait till last minute to get cheaper deals but to get pre-registered for Hajj with a reputable company. 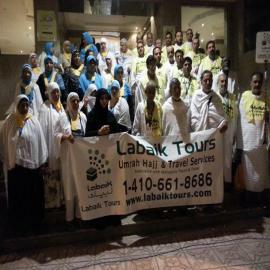 Labaik Tours, an IATA licensed and accredited Travel agency has started taking Hajj 2015 applications. If you then have a home alarm be sure to set it prior to going on your trip. If a neighbor has to access your property for emergencies or water plants, feed animals or fish and then make sure they have got the number for the alarm. Most alarms are programmable to enable you to enter an extra security number to incorporate just for this purpose which might be canceled on your own return. This way your original alarm number won’t be compromised. Use automatic and programmable timers to show lights and radios don / doff while you’re away. Stagger the days the lights embark on, and hang the radio to a talk-show station. The Voices and lights will assist deter burglars. If you could have newspaper deliveries, either cancel them or use a neighbor to bring them in for yourself a daily basis. Have others like you pick up your mail and then flyers, otherwise have the two hold the mail for you personally return. We have realized that a UPS mailbox is specially good for this purpose when they will retain the mail available for you and there is no evidence at the house that you are away. If you have along well with your friends or have friends and relations close by asking them to check the house regularly and in some cases park in your driveway so it’s not evident that you will be away. If its winter, then there is likely to be snow arrange to get your snow cleared out of your driveway, even by using a prepaid service when necessary. Leave radio stations or on television with your hotel room after you leave for that evening. Put the “do not disturb” sign on your own door when leaving. None of the works in the daytime as the maid will be to service the bedroom and turn it off, however it does work well before bed. Do not make use of the “Please make up the surrounding” sign because this is an indication you’re not there. Keep possession of the area key along with you at all times. Most keys are cards nowadays, such as the hand an integral in unless it’s too big to cart, then it cannot be handed out to another individual. Use caution while using the elevators and hallways through the night. If you are uncomfortable with anyone inside the elevator pretending you could have forgotten something and go back into a public floor much like the lobby or restaurant. Do not visit your own floor where they’re able to follow you to define your room or scout out any room number for later. Use the surroundings safe for almost any valuables together with passport, house and car keys as well as your laptop when it will fit. Be careful in crowded tourist areas, airports, bus-stations, train stations, subways, markets, festivals, etc. These places have become popular with pickpockets. Be aware of loud arguments, bumps and also other activity which can be staged to distract you while somebody else steals your wallet or handbag. Take a prearranged day or night city tour. This can introduce you to define the main tourist areas but additionally enable one to decide which areas you might re-visit or avoid. If using public transit sit at the driver or conductor with companions. The pilgrimage to Mecca, The hajj is obligatory and religious duty for all adults who’re physically and financially capable of making the journey. Hajj is the largest annual religious celebration and gathering of human being on the face of Earth. It is the last pillar of Islam. These pillars are what every Muslim must follow and practice in order to take into account themselves practicing Muslims. Pilgrims visit the holy city of Mecca and perform the rituals through the specific days of Hajj. These days starts from the Islamic calendar dates from 1st Zil Hajj to 12 Zil Hajj. Before coping with any Hajj packages providing company, visit its website and focus it deeply to understand sorts of services the corporation offers. There are numerous tour operators all over world offer Hajj and Umrah packages to Muslim. It is important to understand the Hajj Package type. some companies offering VIP Hajj Packages and some offering standard Hajj Package. The difference between these packages are mostly the type of Mina tents and services which a person will get. The tents in VIP Packages are much closer to Jamarat the place where Muslims through the stone on Devil on 10th Zil Hajj VIP Hajj packages are usually very expensive and in the range of from $9000 to $14000. While the standard packages are in the range of $6500 to $8500. Most of the time the Hotels in Makkah are same but only major difference is the tents which only required for minimum 3 days. So you have to analyze if it’s really worth to spend huge amount for getting VIP tents. I’s all depend on your budget. In Normal and non-VIP Hajj package indeed it’s convenient in VIP Tents based Hajj Package to quickly reach to stoning place while on the other hand the standard hajj packages have North American Minah tents which are at the distance of about 3 miles and which takes some times from 45 minutes to 1 hour to reach to the destination. If a person can afford VIP Package then it’s depend on him but we must not forget that the more we do hard work and walk , we get the reward on every steps. Also if we wants to do hajj according to sunnah then we must not forget how the Prophet Mohammad (PBUH) and his companion use to perform hajj 1400 years ago. An the reward for this type of hajj is also very high. An accepted Hajj has reward nothing but Janna’h the paradise. So this is a person’s choice how much luxury hajj he wants or wants to follow the foot steps of the Rasool-Allah Salllaho alaihay wasalam.